The Real Housewives of Atlanta Season 11 premiere gave us a glimpse at what we can expect from the ladies. Kandi Burruss discussed her desire to have another baby with Todd Tucker. She revealed that they still have two embryos from when they conceived their son Ace Wells Tucker. NeNe Leakes shared her struggles with husband Gregg Leakes’ cancer diagnosis. Both Porsha Williams and Cynthia Bailey have their new boyfriends. Let’s be honest. Nothing actually “happened.” It was more of a catch up session with the friends in my head. With that said, there isn’t really much to discuss from the episode. Let’s hope that changes as the season progresses. In a Bravo blog post, Kandi discussed her daughter Riley Burruss’s reluctance to having another baby. Riley was not on board with the plan at all. Kandi revealed, “Riley was against us getting pregnant with Ace, and now she loves him with all her heart.” Of course she does. That’s her brother. 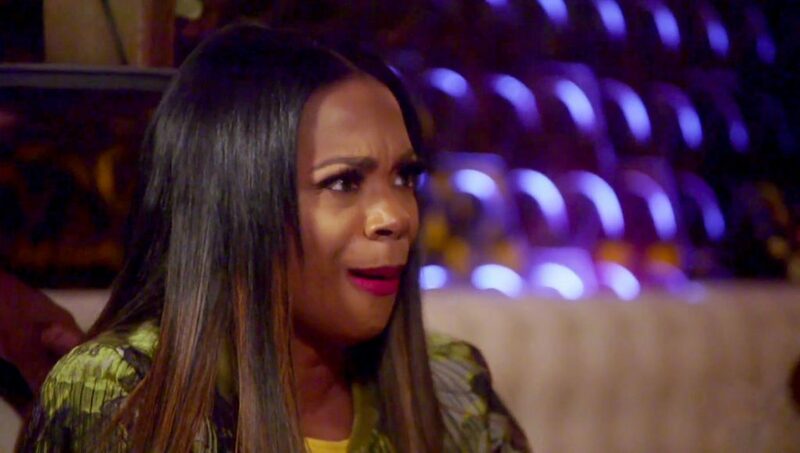 Kandi admitted, “So I’m not listening to her…she’s going to love our next baby just as much as she loves Ace.” Riley is entitled to her opinions, but Kandi is most likely right about how this will turn out. However, the conversation with Riley blessed with a great moment. Riley used NeNe’s infamous line “I said what I said.” Kandi remarked “Riley says that all the time. So I just laughed like I always do.” Same here, Kandi. That quote will never get old. TELL US- WHAT DID YOU THINK OF THE SEASON 11 PREMIERE EPISODE? SHOULD KANDI BURRUSS AND TODD TUCKER HAVE ANOTHER BABY?